Carmakers have lost out on a last-minute bid to loosen fuel economy standards through the 2025 model year. The Environmental Protection Agency told industry lobbyists earlier this week that it will not extend the deadline for a review of the standards, indicating the agency will push ahead with a plan to make the rules final before the Obama administration leaves office Jan. 20. Donald Trump's pick for the job of EPA chief, Oklahoma Attorney General Scott Pruitt, has been a critic of President Obama's efforts to regulate greenhouse gas emissions as a way of curbing climate change and the auto industry has been hoping he will agree to loosen the tough fuel economy standards. The EPA's action won praise from environmentalists and consumer groups. Consumers Union, the policy and mobilization arm of Consumer Reports, called it a victory for consumers who will benefit from lower fuel costs and protection from future spikes in gas prices. A recent Consumers Union analysis found that under the 2025 standards, consumers would benefit from net savings of $3,200 per car and $5,700 per truck. The fuel savings are significant enough that, even with continuing low gas prices, the fuel savings would outweigh technology costs starting with the very first car loan payment and continuing after that. If gas prices rise, the savings will be even greater – up to $5,700 per car and $8,200 per truck, the analysis found. Depending on the car-truck vehicle mix, EPA’s latest analysis found that net consumer benefits would total between $60 billion and $100 billion. “EPA's hurried determination, and lack of transparency, only increases suspicions surrounding the agency's decision, undermining confidence in its objectivity and impartiality,” John Bozzella, president and CEO of the group, said, according to an Automotive News report. Carmakers say the fuel-economy standards will be difficult to meet and will drive up the price of cars. But in comments filed today, Consumers Union notes that EPA’s proposed determination is based on extensive technical analysis that found the standards, first proposed in 2012, to be achievable and cost-effective. 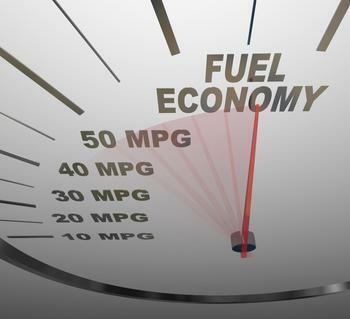 Consumers Union also noted that fuel economy is the number one attribute vehicle owners would like to see improved, according to a June 2016 survey, conducted by the Consumer Reports National Research Center. Fuel economy beat out purchase price, connectivity, vehicle comfort, safety, cargo space, reliability, horsepower, vehicle size, off-road capability, style, and handling. And even consumers who plan to buy a SUV still want their next vehicle to have better fuel economy. The survey findings also show that strong majorities of Americans believe increasing fuel efficiency is important (84%) and that the government should continue to set standards for higher fuel economy in cars and trucks (70%) - a belief supported by majorities of both Republicans and Democrats.